Another superb attachment in the Frenzy range. Individually Handmade. 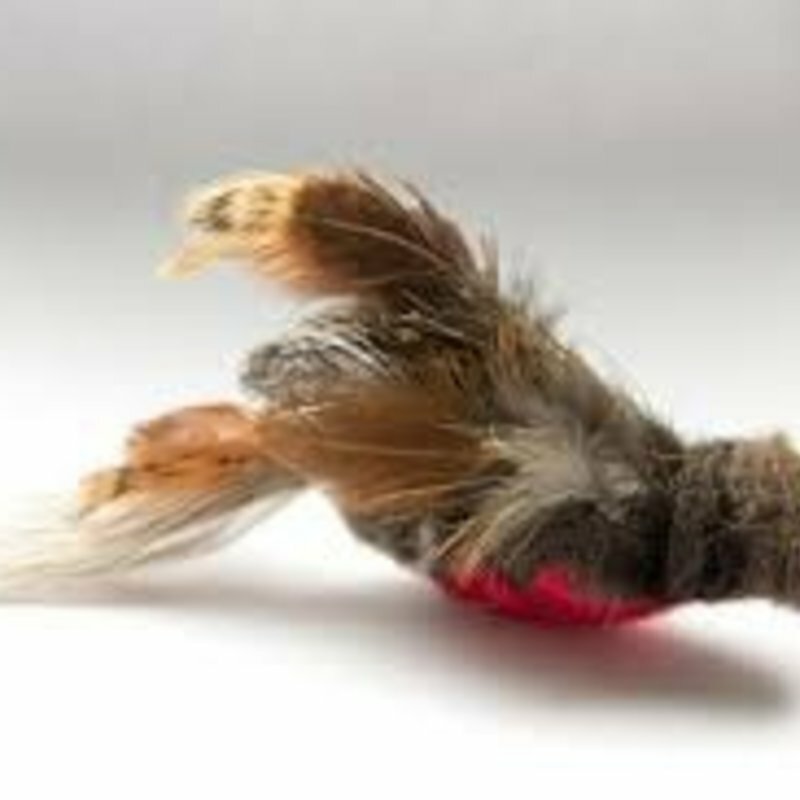 The Robin Bird imitation attachment really brings out the natural hunting instinct of your furkid. Cats go completely FrenzyCrazy for this refill! 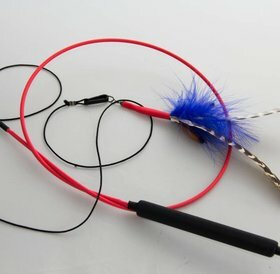 With the Frenzy Interactive Wand, you can put life into the toy, so that the target at the end of the string can wiggle, creep, fly or dart around the room, or garden. Your cats' speed and grace will amaze you as they dash around trying to capture the prey! 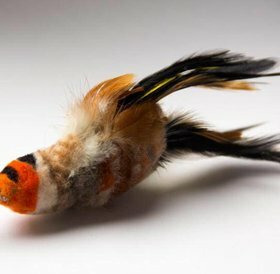 The Frenzy Robin Bird's body is made of 100% genuine soft shorn sheep wool with feather tails and feather wings. 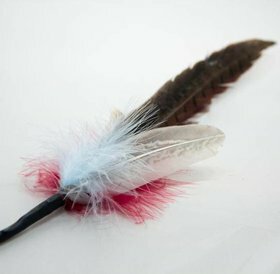 Excellent size approx 7cm long body plus 8cm feather tails. Made with the wool securely fixed to a leather strip running through the middle. The connection to the wand toy is via a strong braided cord on the front. This refill will take a beating! 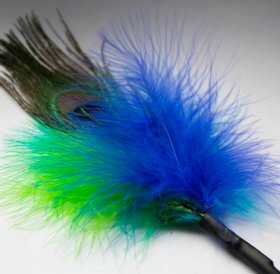 To complete a cat's natural hunt, catch, kill, eat cycle, use the Frenzy, Zebedee or DaBird wands and refills as hunt/chase exercise toys and some real feathers for the kill instinct and cat treats for afterwards to complete the cycle.